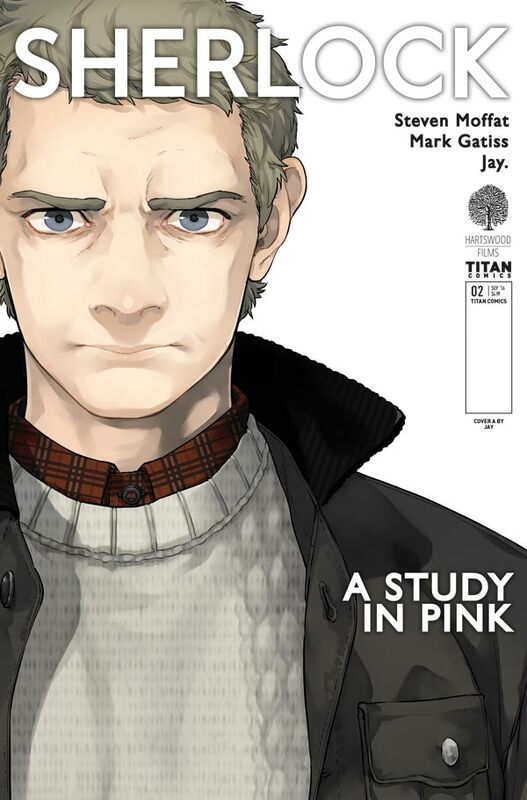 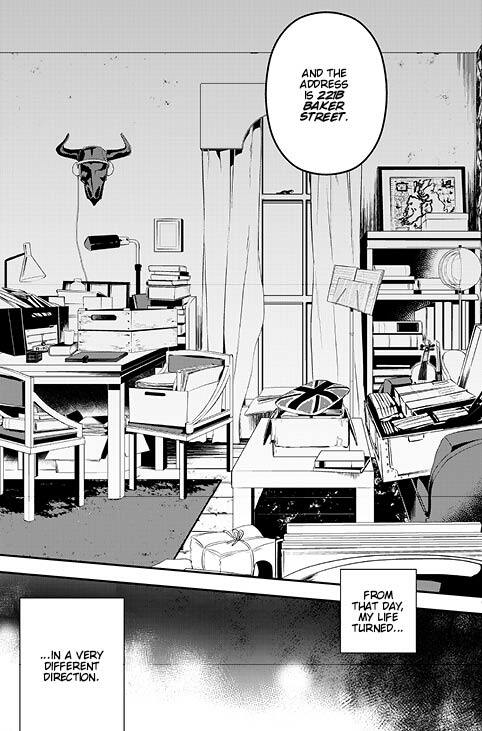 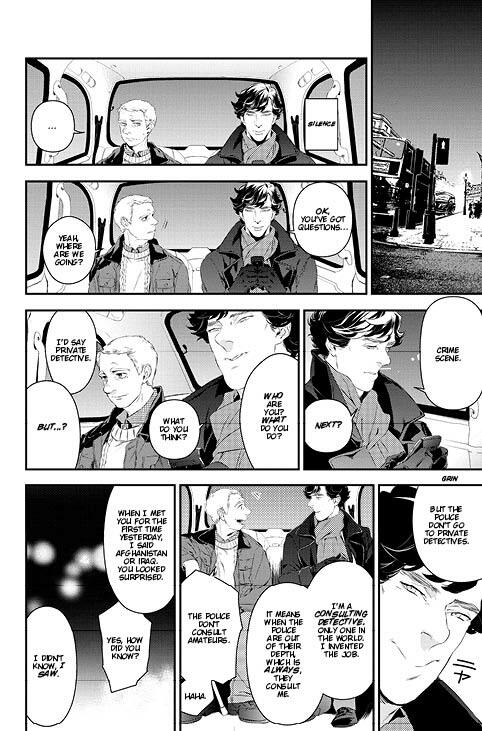 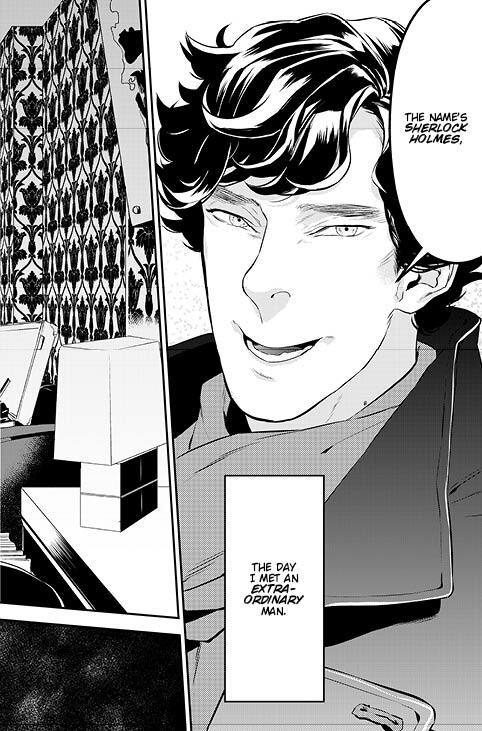 The Fellowship has obtained a first look at SHERLOCK #2 from Titan Comics. 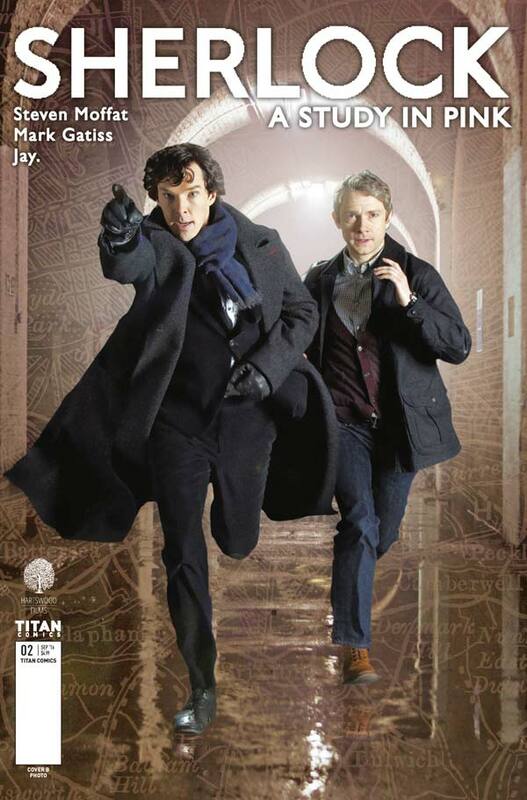 The issue, which hits stores July 13th, is written by Steven Moffat with art and cover by Jay. 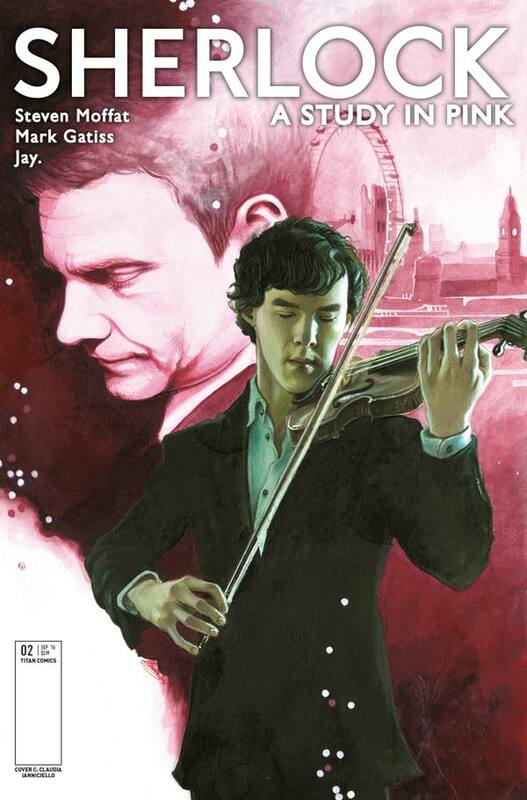 The variant is by Claudia Iannicello, with a photo variant.